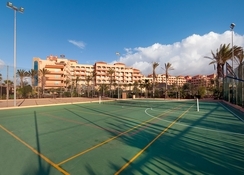 Enjoying a prime location in Fuerteventura, the Elba Sara Beach & Golf Resort provides excellent facilities and luxury. 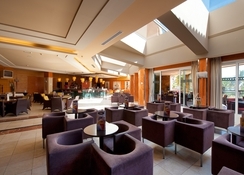 Located in the tourist area of Caleta de Fuste, the hotel is within easy reach to several shopping malls, cinemas, restaurants and bars, as well as close proximity to the Fuerteventura Golf Club Development and the beach. The resort adds a wide array of high quality facilities, including outdoor swimming pools, sports & leisure facilities, cafeteria, children club & playgrounds, restaurants, a piano bar and many more. Fuerteventura Airport is about a 10 minutes’ drive from the hotel. It will be an exciting stay for golf lovers, as the Fuerteventura Golf club is close by. 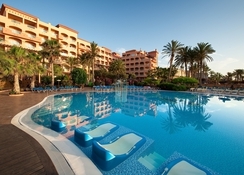 Elba Sara Beach & Golf Resort is located on Caleta de Fuste Beach and is 46km from Corralejo. 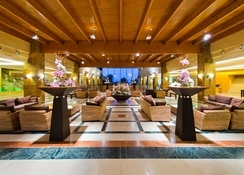 The Fuerteventura Airport is a mere 10-minute drive from the property. The hotel is next to the first 18-Hole golf course on the island and the Fuerteventura Golf Club. Apart from this, there are many shopping malls, restaurants and bars, which are easily accessible from the hotel. Elba Sara Beach & Golf Resort provides luxurious rooms, which can accommodate up to five people. They are categorized as Family double room, Standard double room, Double Room Priority View, Prestige Double Deluxe, Junior Suite, Suite and Family Standard room. Each room is air-conditioned with beds, sofa, seating area and TV. There is balcony in every room, many of which offer beautiful ocean views. Bathrooms have shower and all the essential amenities. Other facilities include flat screen TV, free Wi-Fi, telephone, in-room service and in-room fax. Extra-long beds are provided on request. The Elba Sara Beach & Golf Resort houses a restaurant and a bar. The restaurant serves Spanish and international delicacies, while the bar on the other hand facilitates guests with unlimited alcoholic and non-alcoholic beverages. Other than this, you can utilize the in-room food and beverage service provided by the hotel. 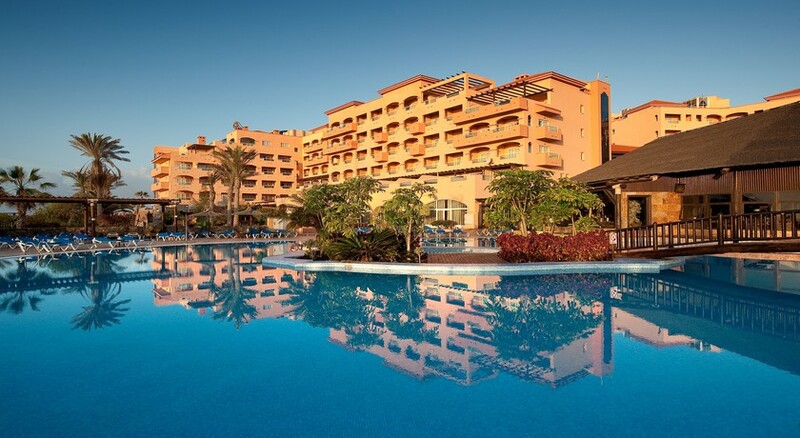 Perfect for golf lovers, the Elba Sara Beach & Golf Hotel benefits from its excellent location close to Fuerteventura’s leading golf facilities, including a quality 18-hole course. 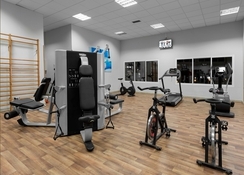 Within the hotel premises, you will find an array of sports, entertainment and leisure facilities, including a fitness centre, sauna, tennis court, and outdoor swimming pool. For children there is a children’s playground, where they can play games and have unlimited fun under the supervision of the hotel’s staff members. The hotel is lovely with Beautiful surroundings. Can go for a walk along the sea. Not far from a main city. Hôtel staff were very friendly and helpful. We enjoyed a week long stay at the Elba Sara Hotel in August. Two adults, two teenage girls and two boys under 10 and everyone loved it. Loads of activities for everyone to take part in but we were also able to relax around the hotel and pool without feeling any pressure to take part. There were a lot of nice extras put on for all ages to enjoy. There was a foam party, a white party, a pool party and a mohito party that we went to. Always sweets and drinks being dished out too! The food in the restaurant was good. As with most all inclusive hotels, it could get slightly repetitive but that’s to be expected of buffet food. The evening entertainment wasn’t the best I’ve seen but it was ok and the staff worked very hard on what they provided. Fantastic hotel, great position for Atlanticist Shopping Centre. Very Friendly Staff, really good Food,(Something and More for Everyone), good Activities. Overall Cracking good Stay and worth Every Penny. Positives: The hotel was very clean, food lovely.. lots of choice and varied, entertainment was cheesy holiday style but fine, location excellent, close to airport and right next to a lovely beach and promenade walks. Staff friendly. Needs a refurb! Restaurant staff were rushed off their feet and rather strange cocktail mixtures were wheeled around pool each day in huge vats.Unpleasant smells by drains at back gate to promenade. Nice beach about 15mins walk away at Calleta de Fuste. Close to airport, which is good. During our visit, we only saw a manager on one occasion and i feel the hotel could do with one in the Restaurant at all times .